Jewell Ruth (Baggett) Tignor, 90, passed away Thursday, September 21st, 2017. She was born May 25th, 1927 in Mississippi. 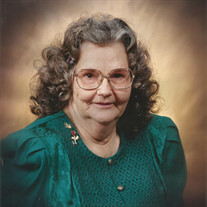 She was a member of Pilgrim's Rest Baptist Church for over 45 years. She enjoyed singing and dancing. She was an avid fan of the NBA Dallas Mavericks, and she enjoyed time spent with her grandchildren and great-grandchildren. She was preceded in death by her parents Ollie (Odle) and Daniel Baggett; two daughters, Patricia Ann Tignor and Belinda Tignor; one son, Jesse Glenn Tignor; two sisters, Ruby Dillingham and Dorothy James; one grandson, Thaddeaus Watkins; and one great-grandson Nathan Johnson. She is survived by two daughters, Iris Veino and Carol Reynolds; two sons, Gene Tignor and Robert Tignor; ten grandchildren: Elisha Tignor, Timothy Tignor, Sarah Tignor, Isaiah Tignor, Lydia Terrell, Abby Lyons, Amanda Brewer, Billy Joe Mason, Jenny Johnson, and Sarah Ducharme; 23 great-grandchildren; and one great-great grandchild. Visitation will be Sunday, September 24th from 6-8 PM at the Willis Funeral Service Chapel and the funeral service will be Monday, September 25th at 2 PM at the Pilgrim's Rest Baptist Church with Bro. Larry Sellars and Bro. Glen McKay officiating. Burial will follow at the Campground Cemetery of Bethesda. Pallbearers include, Jeremy Brewer, Jonathan Sharp, Billy Mason, Ricky Ingram, Jeff Townsend, and William "Duck" Bracewell.